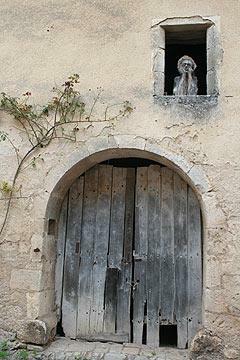 Flavigny, listed as one of the 'most beautiful villages of France', is found 20 kilometres south-east of Montbard in the Cote d'Or department of Burgundy. 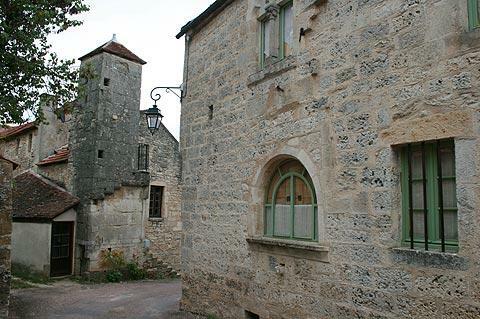 The full name of the village is Flavigny-sur-Ozerain. Flavigny-sur-Ozerain is a small medieval fortified town, with sturdy walls surrounding the narrow winding streets that weave between the traditional medieval Burgundy houses - some are grand affairs and others much more modest: most are constructed in the attractive light local stone of the region. 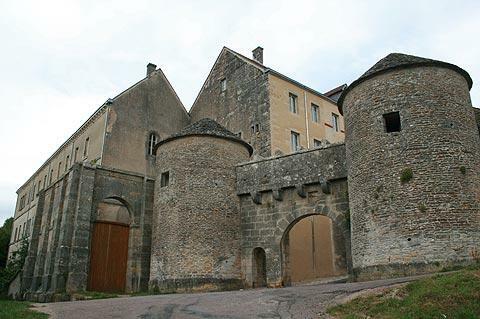 You can enter Flavigny through one of the imposing stone gateways that have protected the village since medieval times. 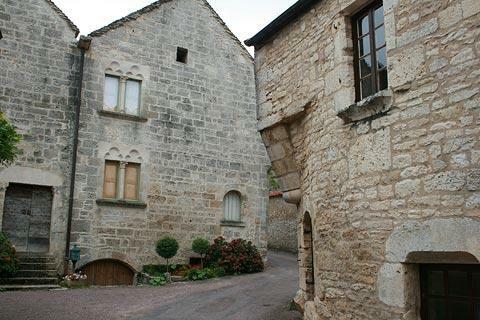 As you walk around Flavigny be sure to explore along the alleys, for that is where you will find much of the hidden charm of this pretty village such as the turreted houses and other medieval architectural features. Flavigny have placed quite a few maps in the streets that highlight where you are, and which houses and features can be seen nearby, which is very helpful in making the most of your visit. 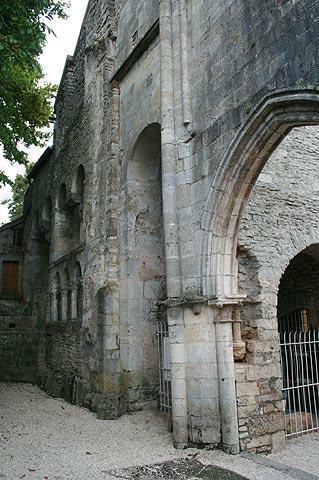 - the Abbey of Saint-Pierre was founded in 717 and occupied from the early Middle ages until the French Revolution. 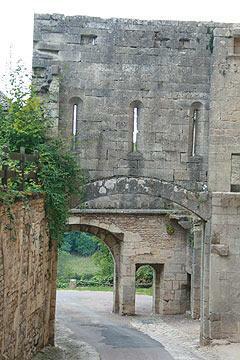 In the 1840's the monks were able to return, to a rebuilt portion of the abbey. 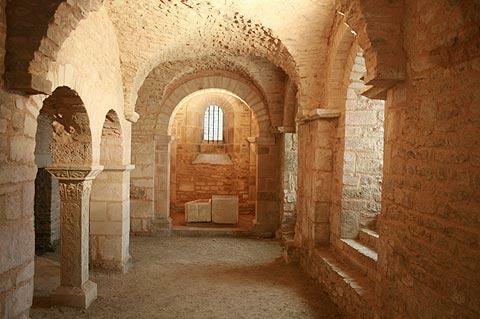 No longer in use the abbey has a small crypt where you can see various related artefacts (free entry). - the Church of Saint Geneste represents the centre of Flavigny, has impressive carved stalls and a 12th century carving of the Madonna. 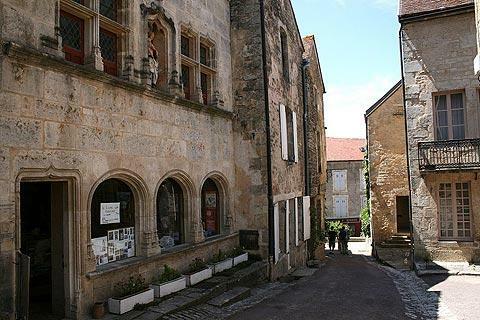 Other places of interest you will see in the village include the Maison du Donataire with its impressive renaissance style windows, and the formidable entry gates, part of the towns medieval fortifications. France This Way comment: Flavigny was almost completely deserted when we visited in September and has little in the way of facilities, so is presumably not a major part of the Burgundy tourist trail. Curious, because it has one of the most extensive unspoiled medieval centres I have seen. 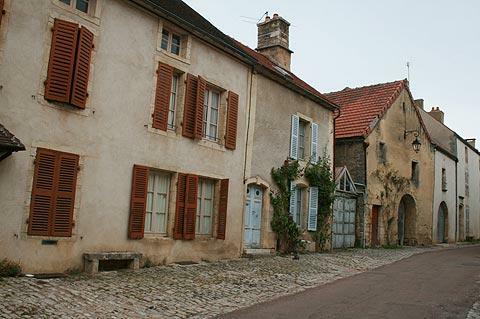 Another interesting fact: the popular film 'Chocolat' was largely shot in Flavigny. 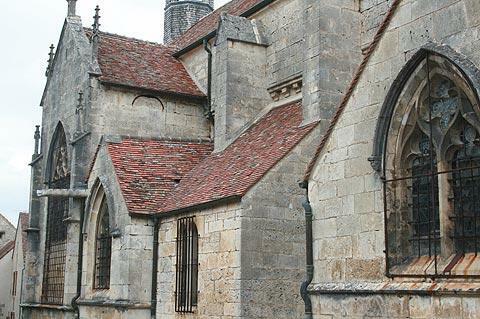 Two particular highlights close to Flavigny that we recommend you visit are the Abbey at Fontenay and the small market town of Semur-en-Auxois.